Healthy Competition, this is a term I have heard and used many times in my life...I'm now beginning to understand it though. Most people who know me know that I am not really all that competitive. I could care less whether or not I win a game (unless it's Disney Scene It, I become downright evil when playing that game, lol), I have more fun just playing the game than winning or losing. Really the only things I have ever been competitive about have been things most people would consider strange, auditions for theater or musical groups top that list. Recently though I have been "competing" with friends and family. Allow me to explain. Yesterday I signed into my Facebook page to find this picture posted on my page, with the caption "Are you keeping up?" Jason, a friend of mine has also begun running. We often encourage each other by posting running times and pushing each other to go faster or farther. It's not a race, and we aren't trying to "beat" the other person (at least I'm not, I can't speak for him) but it gives us both the push that we need to get off our butts and go to the gym. The fact is that yesterday I wasn't keeping up. I hadn't been to the gym in five days, because of the storms, and trying to finish up my school work I hadn't been doing what I needed to do. Jason's picture reminded me that I needed to go...for me! 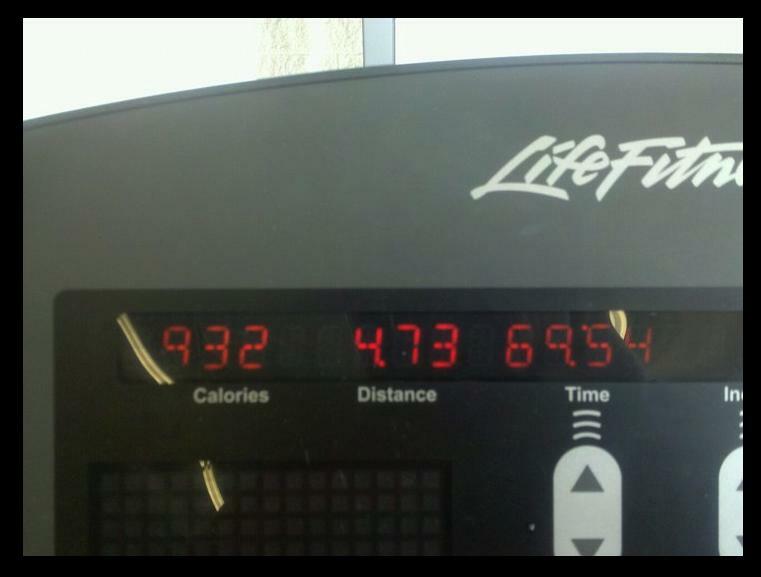 Although I wasn't able to keep up, I did get 4 miles of running, and 2 miles of biking in yesterday. Today another 4 miles. 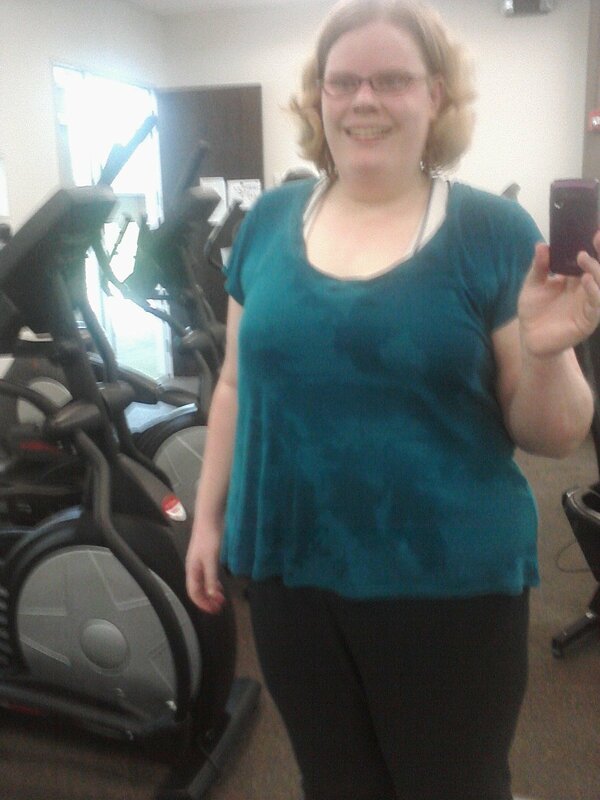 When I posted this sweaty picture of myself on my Facebook page I got comments from friends and family encouraging me, and telling me how good I looked. I was surprised at the response, and it not only made me feel great, but it made me even more motivated to keep going. I now understand what people mean when they are talking about healthy competition...I'm not competing with anyone but myself, to get healthy. This is one competition I really want to win!